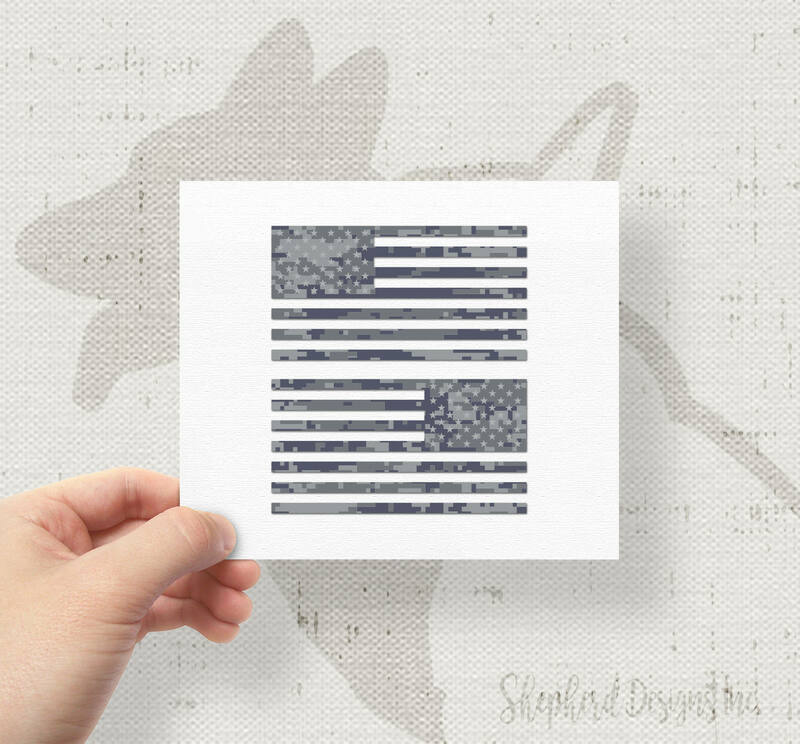 6" - Set of 2 - Jeep Wrangler American Navy Camo Flag Decals - 6" x 3.16"
Decal sized to official government specs at 6" x 3.12". This listing is for a set of two decals. One with the stars on the left and one inverted, with the stars on the right. Latex print on clear 3M cast vinyl with high gloss or matte overlaminate. These are high quality decals and will not shrink, peel, or crack. These are not the cheaper calendered vinyl that other shops use. $3.50 shipping for entire decal order. Additional decals ship free!